Derivatives are tradable products whose price is based upon another market. Derivatives are security, whose value based upon other more basic underlying variables. In recent years, derivative security has become increasingly important in the finance field. Futures & Options are now actively traded on many different exchanges. 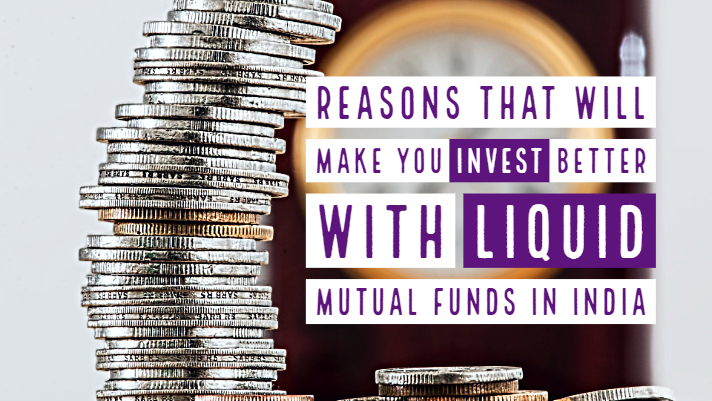 Forward contracts, swaps and many different types of options are regularly traded outside the exchanges by financial institutions and their corporate clients in over-the-counter markets. Other more specialized derivative securities often form part of a bond or stock issue. Derivative Securities are also known as contingent claims. Generally, the variables underlying derivative securities are the prices of traded securities. For example, A stock option is a derivative security whose value is contingent on the price of the stock. 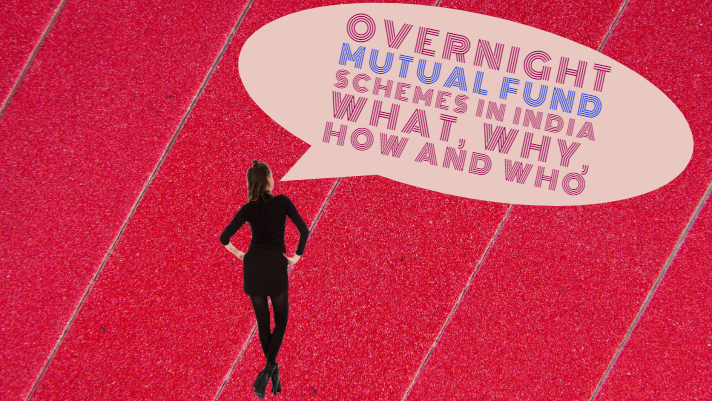 It is generally seen that derivative securities can be contingent on almost any variable. 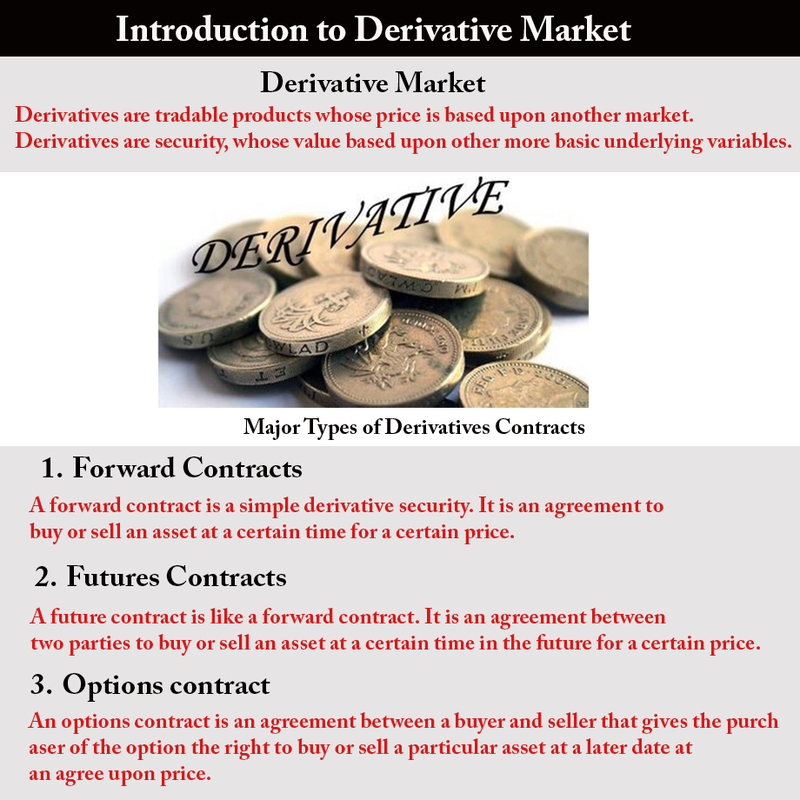 There are several derivatives markets and each containing thousands of individual derivatives which can be traded. A forward contract is a simple derivative security. It is an agreement to buy or sell an asset at a certain time for a certain price. This contract is usually between two financial institutions or between the financial institution and one of its corporate clients. Generally, it is not traded on an exchange. In a forward contract, one of the parties to be assuming a long position and agrees to buy the underlying asset on the certain specified future date for a certain specified price. The other party assumes a short position and agrees to sell the asset on the same date for the same price. A forward contract is settled at maturity. The specified price in a forward contract will be referred to as the delivery price. At the time when parties entered into the contract, the delivery price is chosen so that the value of the forward contract to both parties is zero. The holder of the short position delivers the asset to the holder of the long position in return for a cash amount equal to the delivery price. Key variable determines the value of a forward contract is the market price of the asset. Value of a forward contract is zero when parties enter into the contract. A future contract is like a forward contract. It is an agreement between two parties to buy or sell an asset at a certain time in the future for a certain price. Futures contracts are generally traded on the exchange. The largest exchanges on which futures contracts are traded are the Chicago Board of Trade (CBOT) and the Chicago Mercantile Exchange (CME). One way in which a futures contract is different from a forward contract is the exact delivery date is not usually specified. 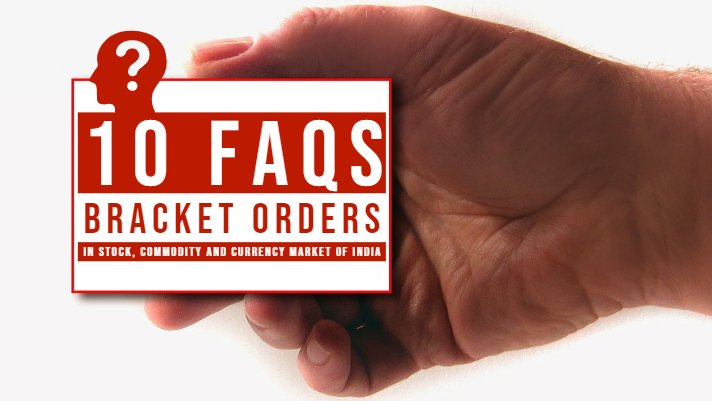 Futures contracts are generally referred by its delivery month, and the exchange specifies the period during the month when delivery must be made. For Example: In case of the bullion commodities future contract, the delivery period is 5 trading days after the expiry of the contract. We can understand it by one example- there is an August – 2017 future contract of Gold, this contract will expire on end of the month i.e. 31st July (Monday) so the delivery period will be 1st to 4th August (Tuesday to Friday). 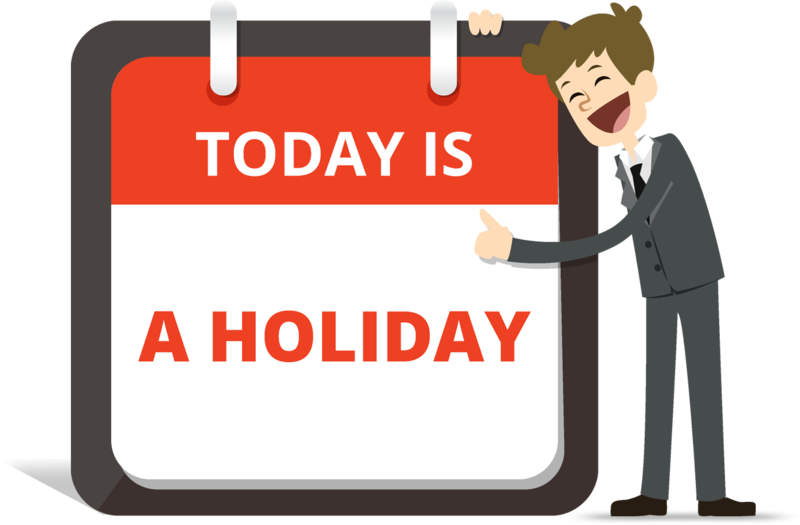 Ideally delivery period should be 1st to 5th Aug. but 5th Aug is Saturday (no Trading day) so this date has to be excluded from the delivery period and it will remain for four days. Options on stocks were first traded on an organized exchange in 1973. Since then, there has been a dramatic growth in the options market. Nowadays options are traded on many different exchanges across the world. The underlying assets include stocks, stock indices, foreign currencies, debt instruments, commodities, and future contracts. 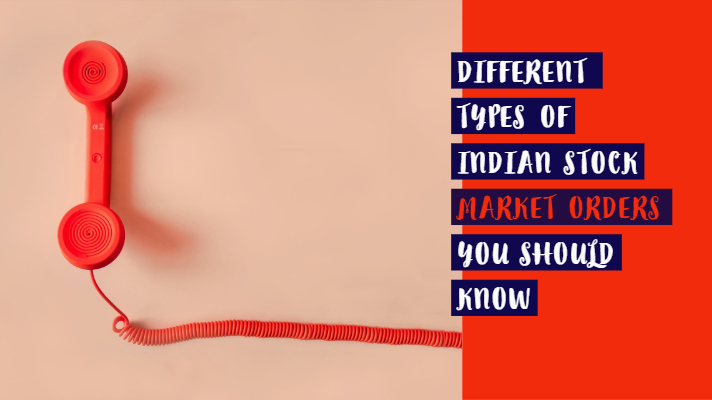 There are two basic types of options – Call Option and Put option. A call option is a security, which gives the owner the right to buy the underlying asset at a certain price by a certain date. The “certain price” is called the ‘Strike Price’, and “certain date” is called “expiration date”. A put option is a security that one buys when you think the price of a Stock or Index is going to go down. A put option is a right to sell shares of stock or index at a certain price by a certain date. Naresh is the head of Research at Raghunandan Money. When it comes to studying the markets, Naresh is someone loves decoding prices, data, trends & charts. 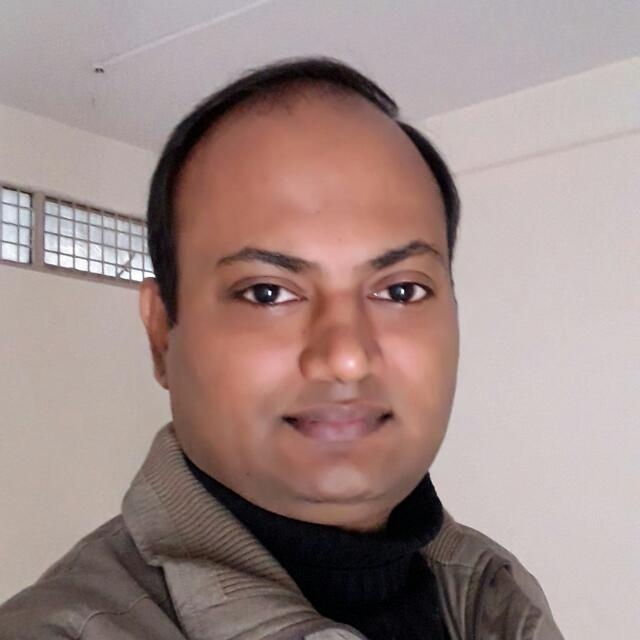 Naresh carries an equal flair for both technical and fundamental analysis and that makes him truly one of the reliable experts in the market. 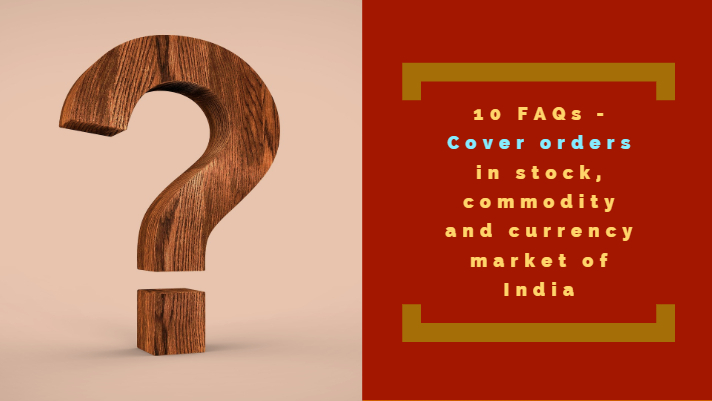 Naresh writes informative articles & blogs for equity, commodity, traders and investors. 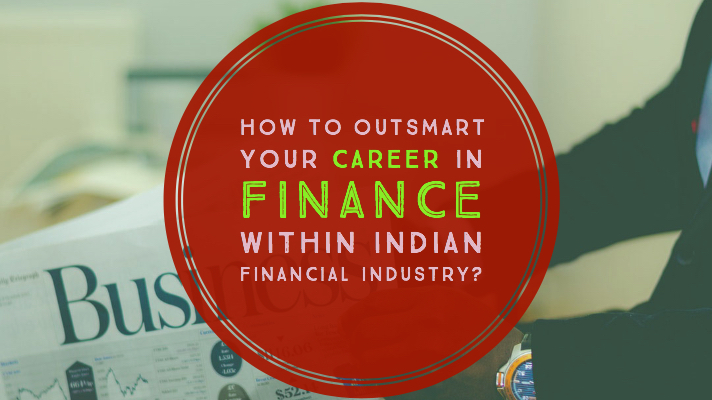 How to outsmart your career in finance within Indian financial industry? Understanding power of attorney and debit instruction slip – are they mandatory? Want a Personalised Advice on your portfolio ? Talk to our Market Experts for FREE. Register Now for a FREE Call Back.